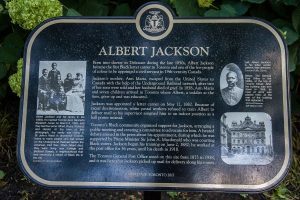 PHOTO BY GEREMY BORDONARO/GLEANER NEWS: Heritage Toronto unveiled a plaque commemorating Albert Jackson, Canada’s first Black letter carrier, on July 21. The plaque is located on Lombard Street, outside the former Toronto General Post Office. 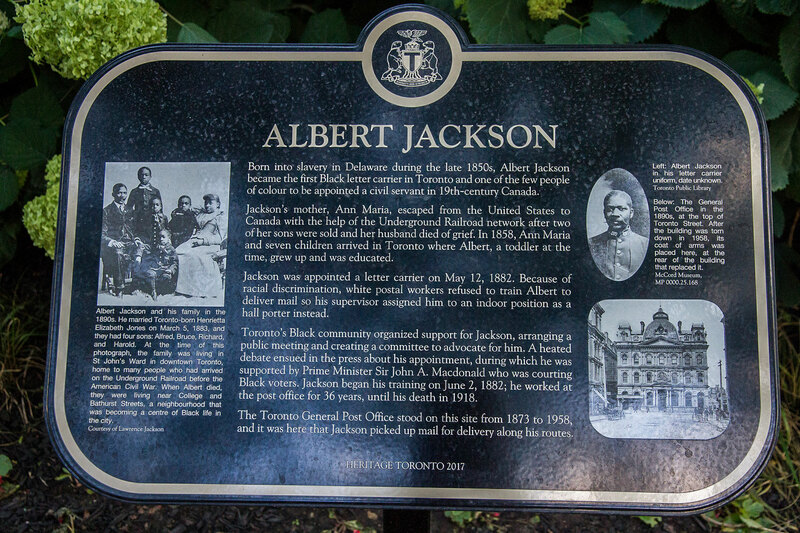 Jackson lived and delivered mail in the Annex, and was the subject of The Postman, a play performed on Brunswick Avenue, Palmerston Boulevard, and Major Street in 2015.